If you live somewhere that has mild temperatures all year, you probably don’t need a fireplace. But sometimes a fireplace makes a great focal point in a room and gives the space character. Even if you aren’t lying by the fire holding a big mug of hot cider, a fireplace can make a room feel really cozy. One alternative, if you don’t need a heat source, is to design a faux fireplace. 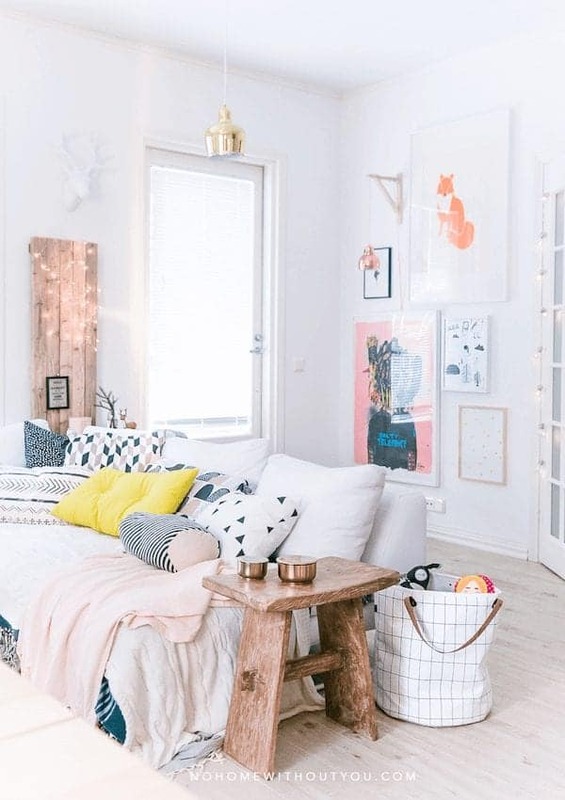 This way, you get the added chic appeal, without taking up wasted space. Whether it’s in your living room, bedroom or kitchen, here are some faux fireplaces to light that design “spark” within! 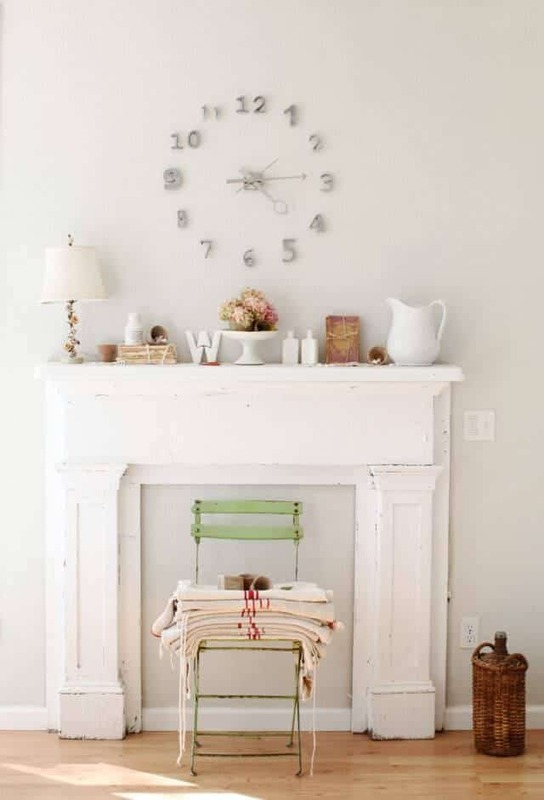 For a look that is rustic and simple, this white mantel is gorgeous. 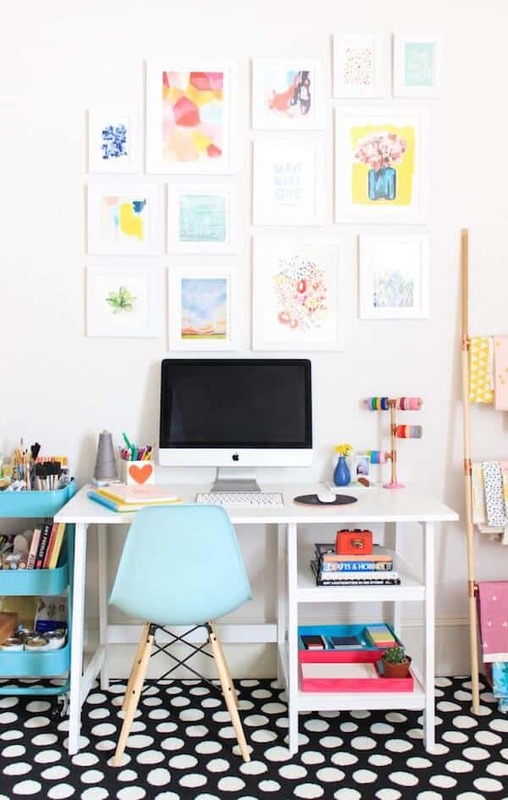 The small pops of pretty colors add an element of femininity and the clock and chair help balance out the space. This is a great way to incorporate a faux fireplace that is also functional. It provides extra seating and creates a calming environment. Get more ideas for decorating in french country style over at Dreamy Whites. A really great thing about making a faux fireplace is that you can customize it to your style. 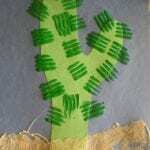 You can paint it in any shade you want, display it anywhere, and decorate it however you wish. 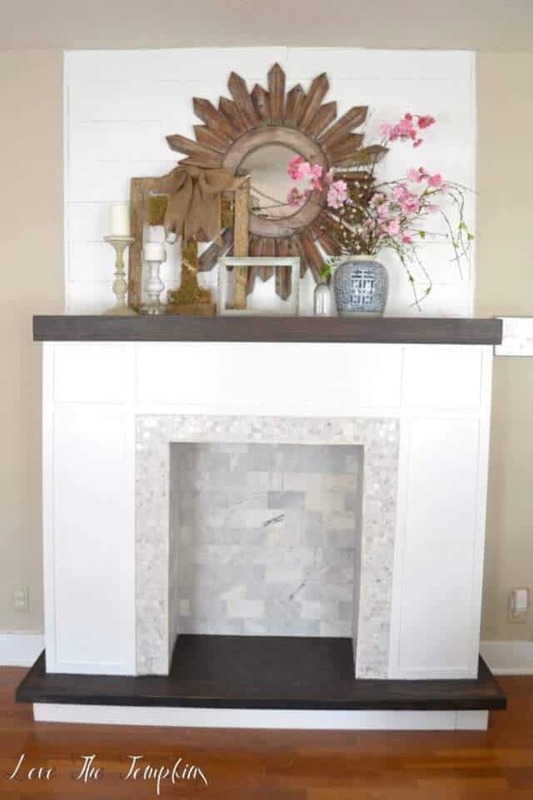 If you’ve got an area in a room that is boring and needs a minor reboot, a DIY fireplace mantel would up the style factor big time. Get more design inspiration from Rogue Engineer. Trying to figure out what to do with the firebox on a DIY fireplace can be a challenge. I love what was done here with the herringbone design! It keeps the fireplace interesting and adds texture. 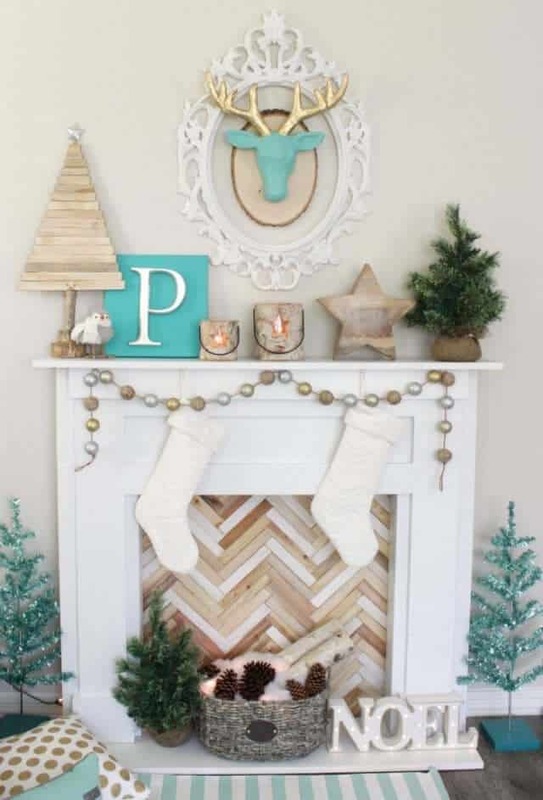 Wood is a great element that can span seasons, so during the holidays, the mantel can dazzle with festive decor. Check out how this was constructed at Petite Party Studio. If you’re not going to use your fireplace for fires, then I say deck it out! 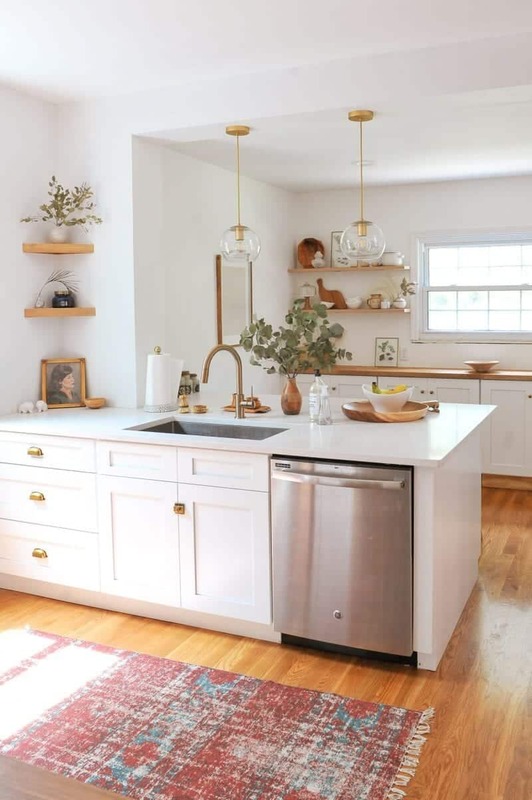 This faux version does just that, using subway tiles. It’s a subtle, yet dramatic addition that contrasts beautifully with the dark wood pieces. I think this would look stunning in a bathroom. You could utilize the space on the hearth with a basket full of towels, tall candles or a vase full of flowers. 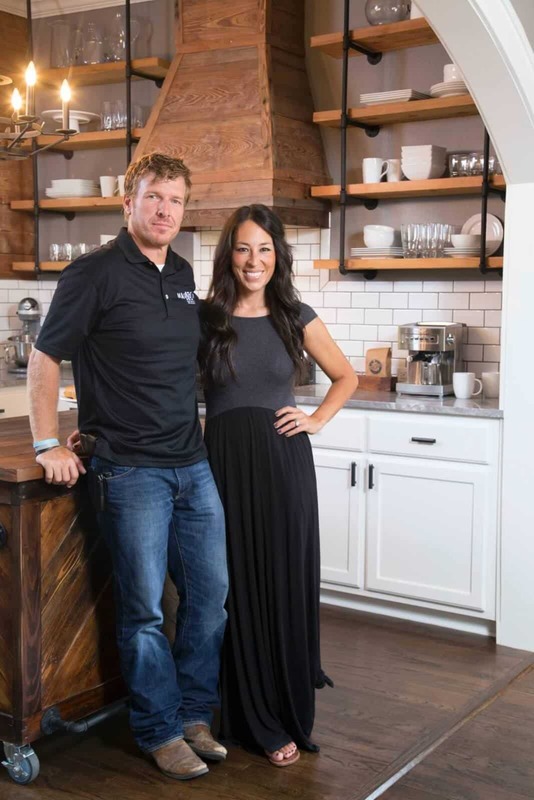 Take a look at how this was built on Love The Tompkins. I’m seriously blown away by this faux fireplace because it was made from a former headboard! 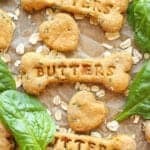 What a creative, resourceful idea, and it looks amazing! A fireplace like this is definitely a simplified version, and you could easily move it to different parts of your home. I think the possibilities are just about endless with this, and I’m totally impressed. 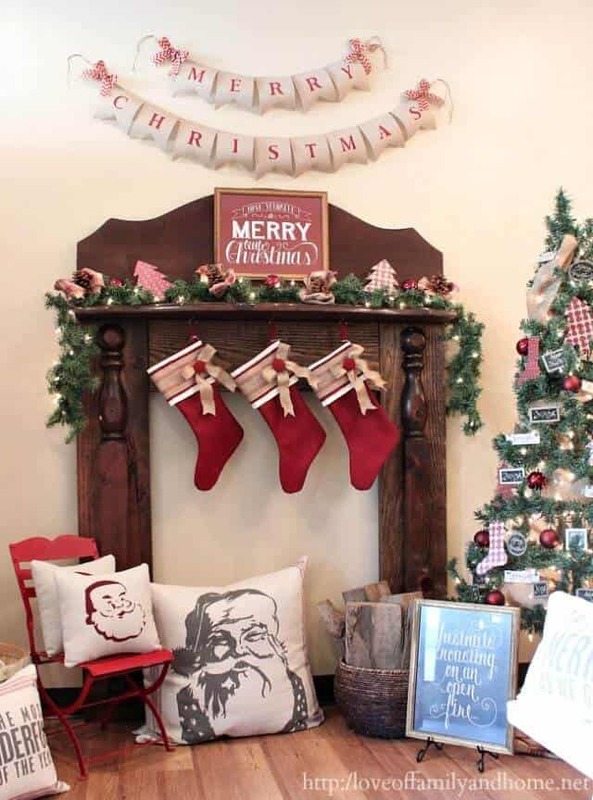 Stop by Love of Family and Home to see how this mantel was made. 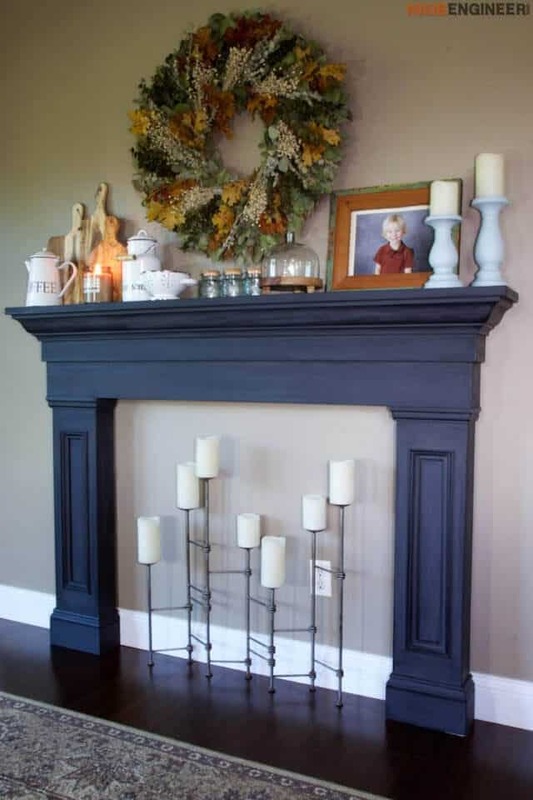 This faux fireplace has a very simple design, but I really like the idea of painting the firebox. You could use chalkboard paint to write cute little notes like “Merry Christmas” or other seasonal messages. You could also draw fake flames to really play up the fireplace theme. 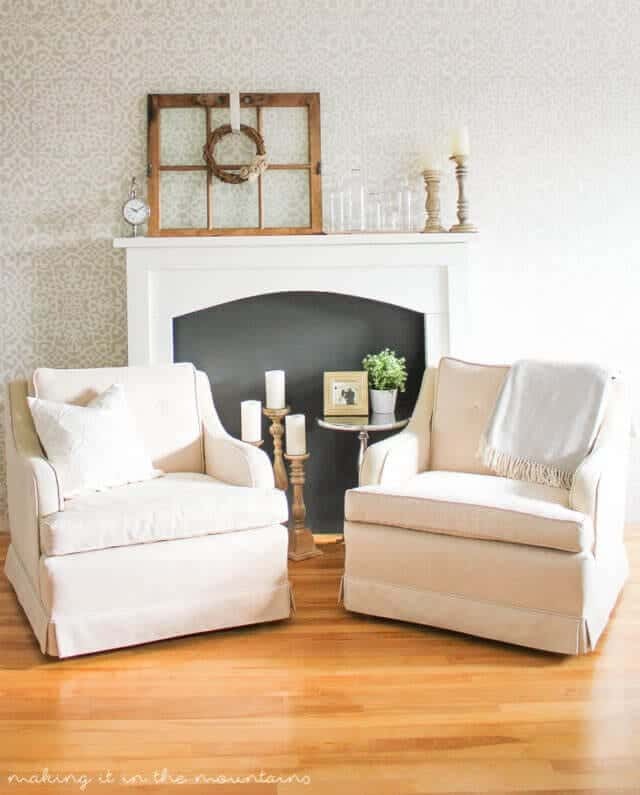 Adding a small table and placing the mantel next to chairs is a smart way to make the space functional. 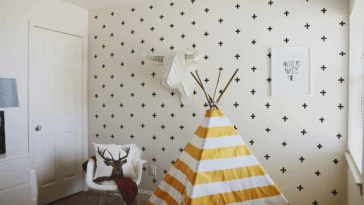 Learn how to make this DIY fireplace from AKA Design.